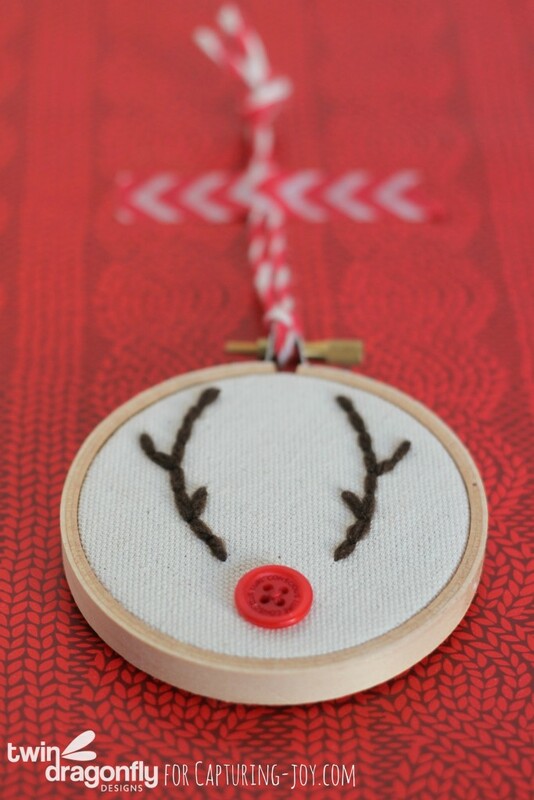 This Reindeer Embroidery Hoop Christmas Ornament is such a fun and simple idea to make with the kids, give as gifts to friends, or add to your Christmas ornament collection. 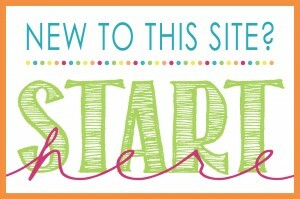 Hello again, friends! I love this time of year! 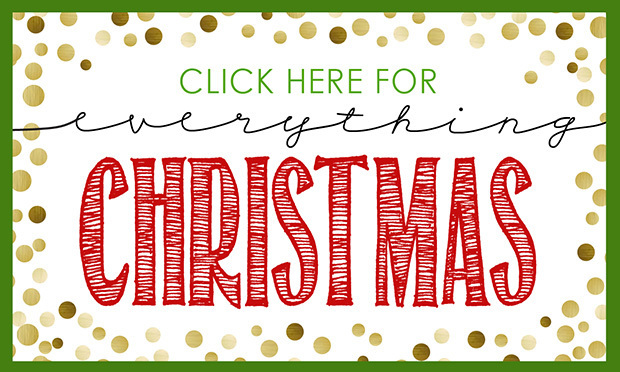 Have you decorated your Christmas tree yet? We have been creating all sorts of handmade Christmas ornaments to hang on ours. 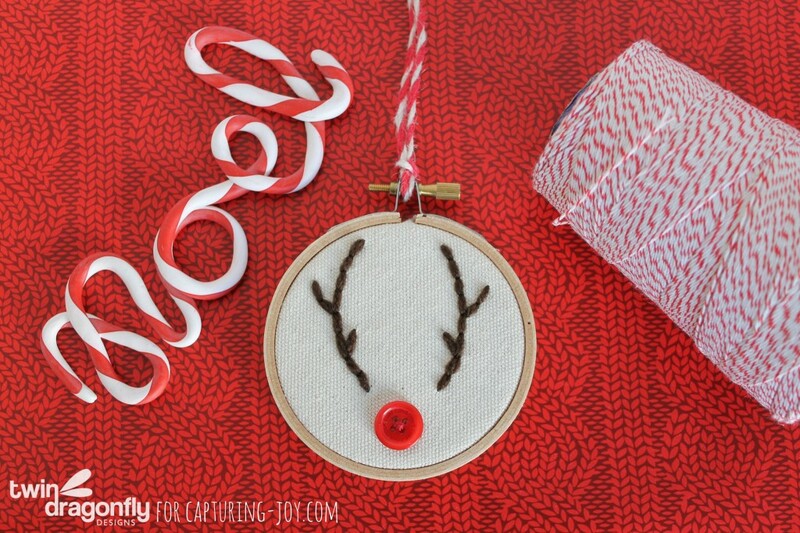 I am seriously in love with reindeer holiday decor and just had to make one of these adorable Reindeer Embroidery Hoop Christmas Ornaments to hang on our tree. This little ornament is really easy to create and would be perfect for not only the Christmas tree, but also attaching to gifts. Wrapped up with a bit of bakers twine and craft paper?! Awesome! Place fabric into the embroidery hoop and tighten the hoop to hold the fabric in place. 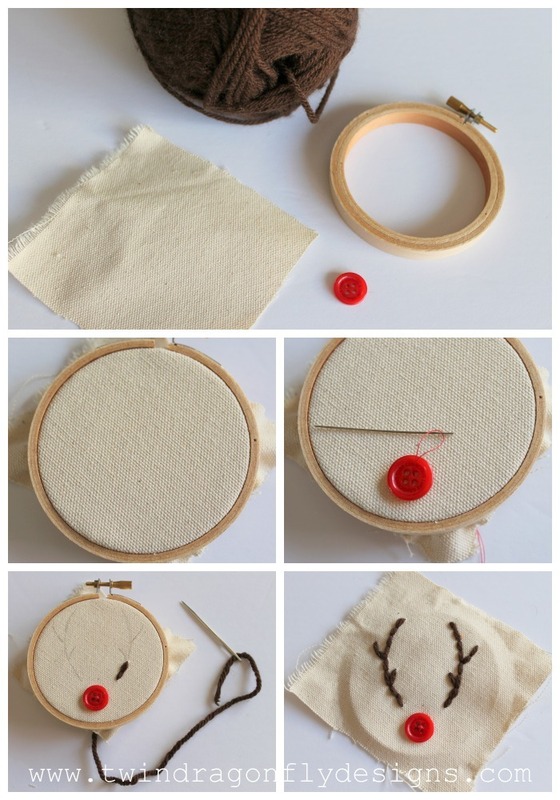 Using the red thread and small needle, sew the red button to the material close to the bottom of the hoop. Draw antlers onto fabric using a pencil (of fabric pen). 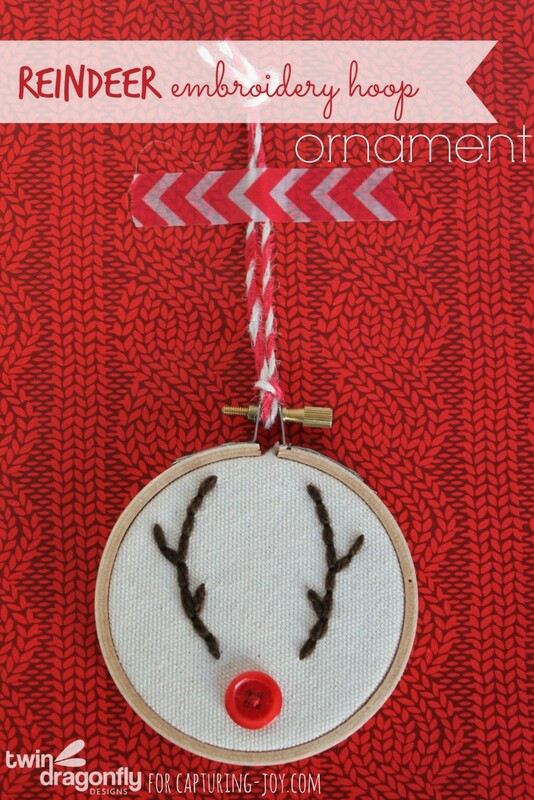 Using the brown yarn and yarn needle, embroider a pair of antlers onto the fabric above the nose. 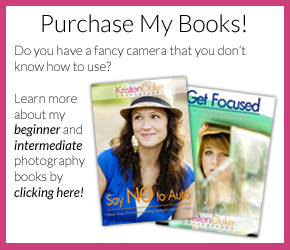 Remove the fabric from the hoop and straighten the image (if needed) in the hoop. Tighten the hoop and trim off excess fabric. Fasten a piece of bakers twine to the top of the hoop for hanging. 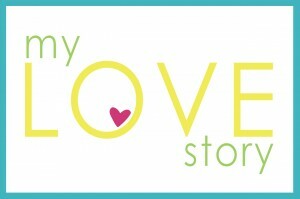 Be sure to visit Twin Dragonfly Designs for more cute Christmas ornament ideas.